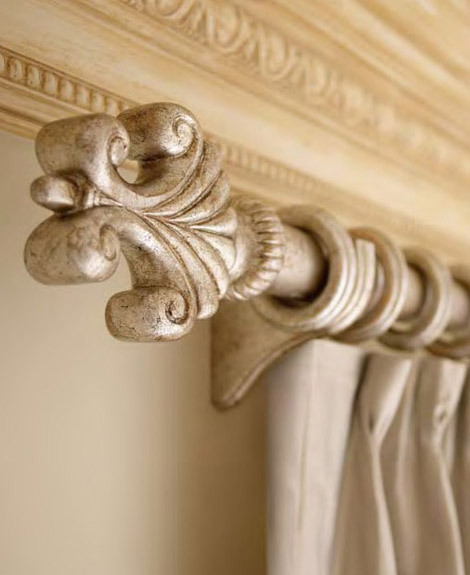 This curtain rod is the perfect finishing touch for an elegant sitting room or bedroom. 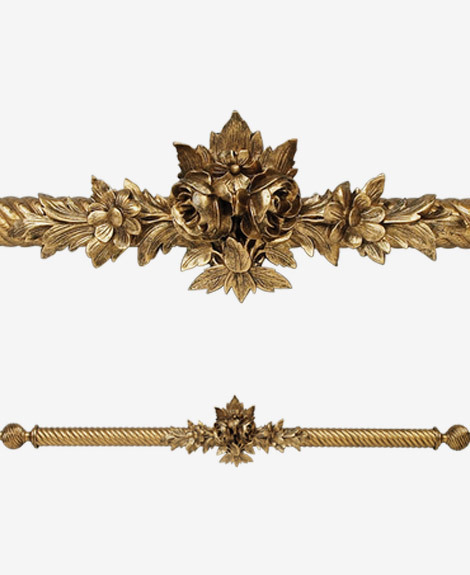 The decorative drapery rod, with its applied floral medallion in the center and graceful ball finials at the ends, has a grand and traditional look which works well with floral chintz fabrics or silk drapery. 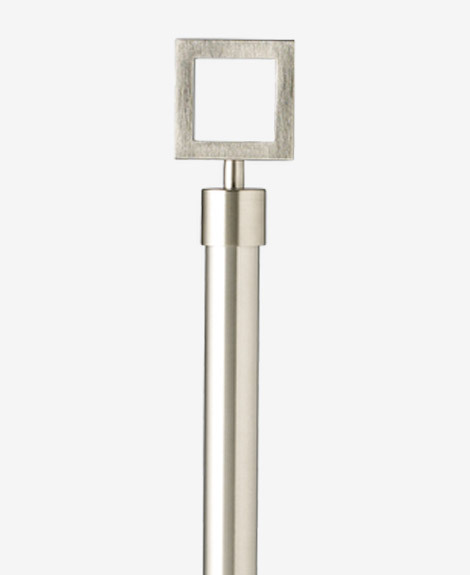 Sleek and contemporary, this curtain rod works well in practically any room and with most any type of curtain. 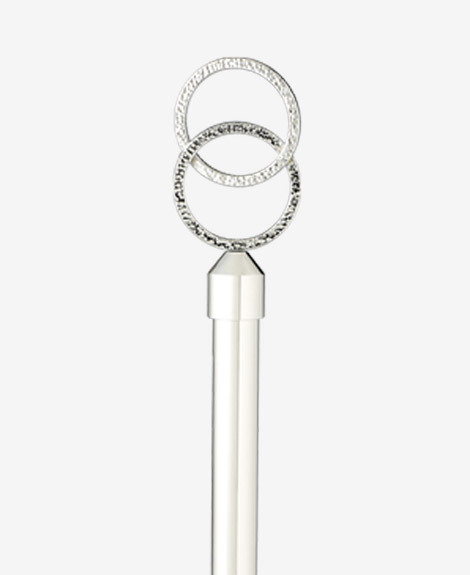 The classic look has a distinctly modern twist with an understated finial in a squared-off shape. Drapery can be gathered along the rod or hung with drapery clips to showcase the shiny, metallic finish. This wooden curtain rod and finial are kept in place with a matching bracket at either side of the window. Classic and stylish, this is a perfect touch for formal living room or dining room drapery, especially if there is traditional ceiling molding. This type of rod works best with standard drapery rings. 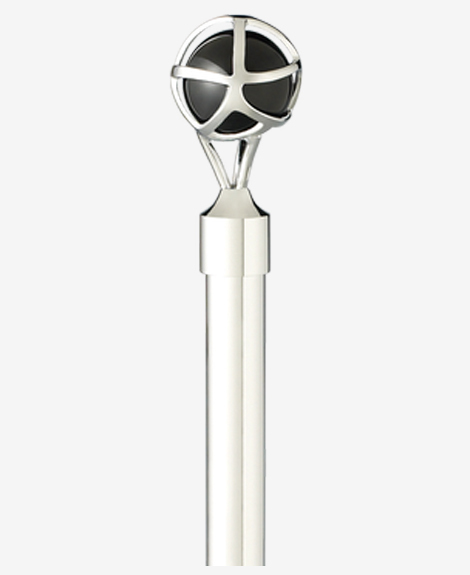 A silver finish with a touch of black makes this curtain rod both contemporary and modern. The finials have a slight starburst shape, giving it a handmade look. Consider using this rod and finial in a bedroom with Danish-modern furniture or in an office with a sleek desk and console. 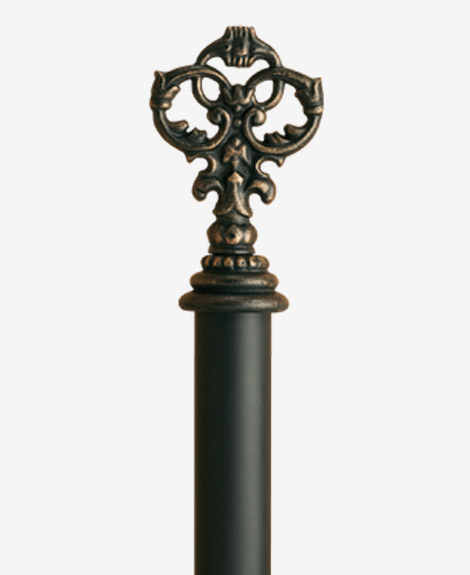 With its hand-rubbed, antique bronze finish, this exquisite and ornate curtain rod with matching finials add a touch of luxury to any room. 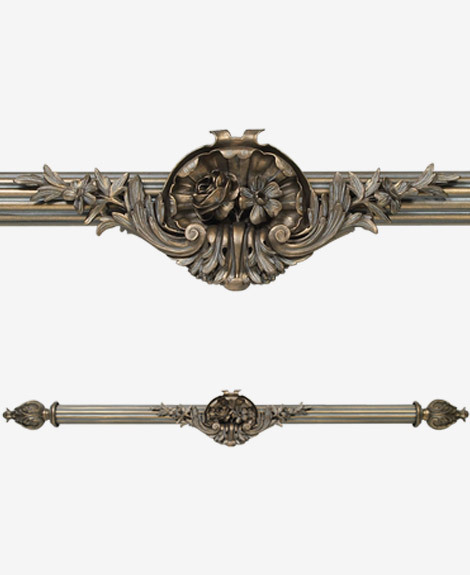 The floral central medallion is classic and elegant and, along with the leaf designed finials, makes you feel like royalty when you add this finishing touch to your formal living room. This curtain rod, with its double rings and metallic finish, is the perfect wrap-up for an inviting and romantic master bedroom. Soft and flowing fabric gathered on the rod will highlight the finials. With both a contemporary and classic look, this rod will work with both modern and antique furniture. 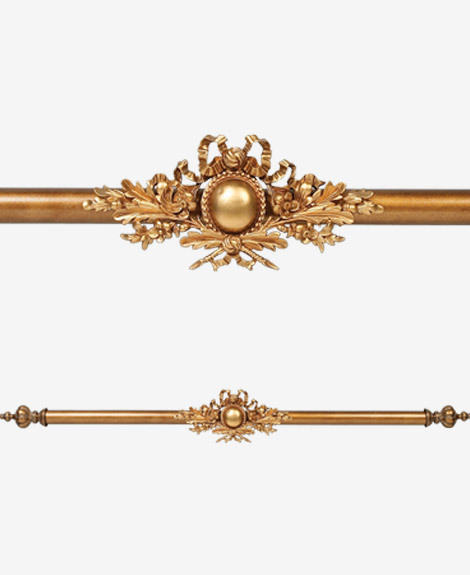 This brass finished rod and matching finials are a classic empire style. With its ribbon and floral designed medallion, this is a gorgeous look for formal rooms with dark mahogany furniture and massive fireplaces. Standard pinch pleated drapery may be used with this rod or consider drapery clips for a softer look. Here is the perfect curtain rod and finial for a mid-century, modern living room, dining room, or den. 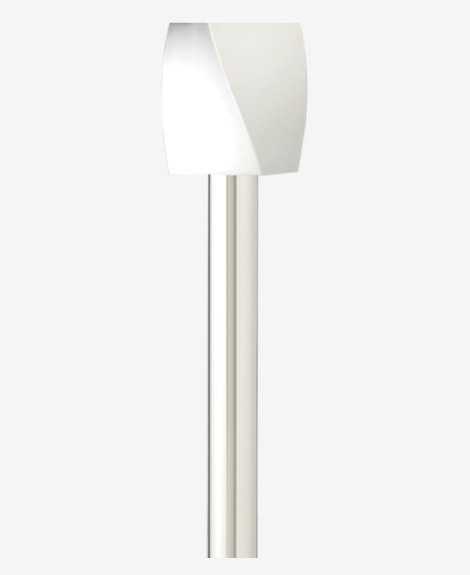 With sleek lines and metallic finish, the square finial will match the look and feel of your contemporary furniture. Use a 50s-era inspired fabric for a valance or floor length curtain to complete the decor of the room. Installing this hand-rubbed antique bronze finished curtain rod and matching finials is a more subtle yet elegant way to finish the look of your window treatments. The softly curved finials, best used in a living room or bedroom, give a slightly more formal feel to the room without being over the top.